You are at:Home»Women's Kitty»Relationship Mantra»Perfect Ways to Propose!!! Marriage season is on and you look everywhere around you just to realize love, indeed is in air! If you are looking forward to unite with your sweetheart in a never-ending relationship yourself, well you have landed at the perfect page! 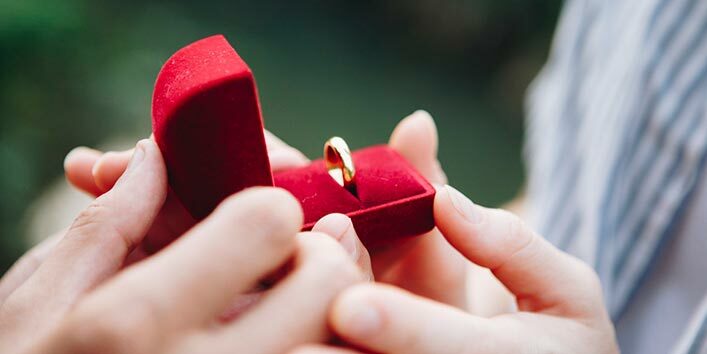 There’s a lot to be done like rituals, ceremonies, receptions and much more but none of these is at par with the moment when you propose your partner for marriage. Before you get immersed in endless festivities and fun, there is that most important thing that needs to be done! That’s right. Proposing your beloved! 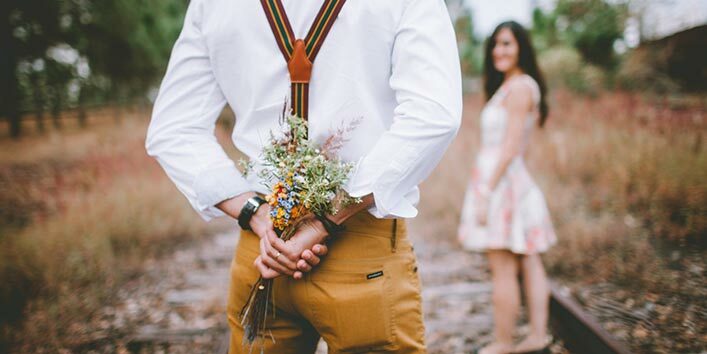 You’re just a few words away from the eternal happiness of getting married but what matters are the words you choose and the way you present your proposal. “Will you marry me”- perhaps the most beautiful and meaningful words a human says in his/her lifetime besides “Maa” & “I love you”! 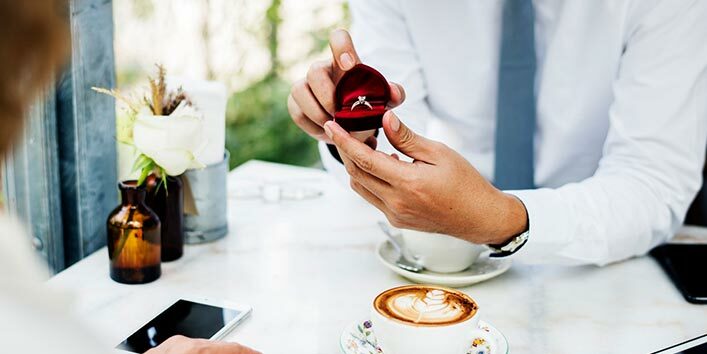 If you are married or at least you’re done with the proposal part, you must have had a crazy time thinking of the best ways to propose before you got one. But if you’re about to propose, you better start giving it a thought as soon as possible. Whenever I think about mine, I can’t seem to stop blushing about our experience whenever my hubby and I recall it. It leaves my face with a smile and heart with a joy unparalleled, even now! You might have already got some ideas like dropping the proposal ring in your girlfriend’s glass of champagne! After she had her drink, she would see the ring and all of a sudden her eyes will be filled with tears of joy. Then you will propose her and she will finally give her answer that you’ve been waiting for so long! Well, I have spilled about this way of proposing so it’s pretty obvious that this style has run its course! You can even try some sort of romantic poetry to get her drowned into the words you choose to express your love for her, but who does that today! No offence to those who have tried all these and succeeded, but doing the same in this era doesn’t seem that impressive! Remember! The desire to marry your darling may have come from your heart, but the creative ways to propose should come from your mind! And besides, it means as much to her as it does to you. Who knows how long she has been waiting for you to propose her! This is a very special occasion for her, so you better make it a memorable evening for her! 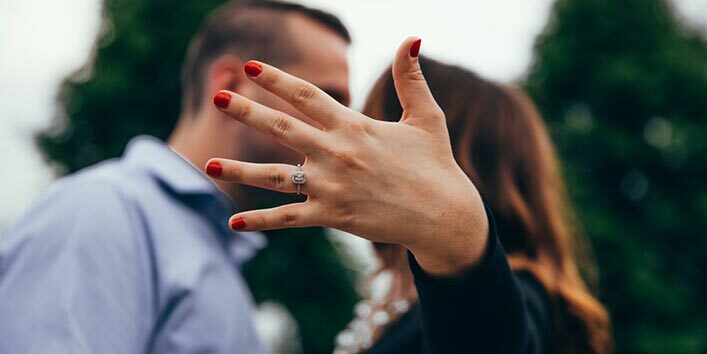 It may seem a little hard to get proposal ideas for men, but once you have figured out the best idea, it works wonders giving you the best moment of your life. If all you care about is to propose and making her feel to what extent you can go to; if you don’t give a damn about privacy try one of these ideas. Using these ways you will express your mad desire to tie a lifetime bond with your loved one in front of a lot of people. Take your girlfriend to a drama theater where you usually watch plays. Wait till the show gets over and present the ring to her on the stage after the curtain comes down. In prior, you should have discussed about the proposal with the stage manager so that everything stays in tune. This will give her a shocking but pleasant surprise. This is one of the most unique ways to propose for marriage. You must have known which section of the newspaper interests your girlfriend the most. Just publish a full-page advertisement saying your words of proposal. She will surely leave the rest of the newspaper and come to give you a tight hug. Trust me, it works! Sometimes a simple party with friends works best. Just tell your friends to stand together wearing t-shirts having a word each from the phrase “will you marry me”. When you enter with your girlfriend, she’ll see those words on t-shirts and you on your knee holding the ring. That would be the perfect time to present the ring to her. There’s no way she can deny such a bold and lovely proposal. If your girlfriend listens to a particular show daily on the radio, you can simply call the number specified in that show and offer your proposal to her on that show. She will obviously listen to it and may even respond on the same show. Take your girlfriend to the place where you first met. Bring the same feel as it was before. Talk for sometime about that day and then present her the proposal ring. In case you had met by chance, then go to a place where you can get ample time alone. This is one of the most romantic and unique ways to propose. Go for a long drive with your girlfriend. Take her some place full of green. This will help to set up a romantic mood. Keep her involved in talking. While she looks somewhere else, present the ring on your knees or slip the ring in the bowl from which she’s eating. When she’s finished she’ll find the ring at the bottom of the bowl and that will be the most joyful moment of her life. This is a simple but touching way to propose which is sure to work perfectly. A candle-light dinner at your girlfriend’s favorite restaurant is one of the best places where you can keep your privacy and a romantic environment. The dim lighting keeps up the romantic feel. You don’t have to be too dramatic. At the end of dinner, offer her the ring and then propose her expressing your love in your own words on the spot. Ask the manager in advance to play her favorite romantic song when you do so. A lot of people may think that saying romantic lines from a film will make your proposal even better. This is not necessarily factual. While proposing your girlfriend for marriage, you should be yourself. You must follow your heart and speak out what you truly feel about your darling. It doesn’t have to be that fancy as in movies, but the desire in your eyes and love in your heart is the only thing that matters! Having said all this, I wish you good luck!